For the hundreds of millions of people who suffer from chronic pain, a new wearable device may provide relief. Quell is a new device that stimulates your nervous system to create a natural response that blocks pain signals. Worn on your calf, the electronic device provides electrical stimulation in 60 minute does and is completely drug free, non habit forming and FDA cleared for day and night use. Those who suffer from chronic pain find little relief in sleep and even less in trying to stay active. Quell is designed to provide sufferers with relief, so they can get more sleep and stay active, both of which will help reduce pain further. 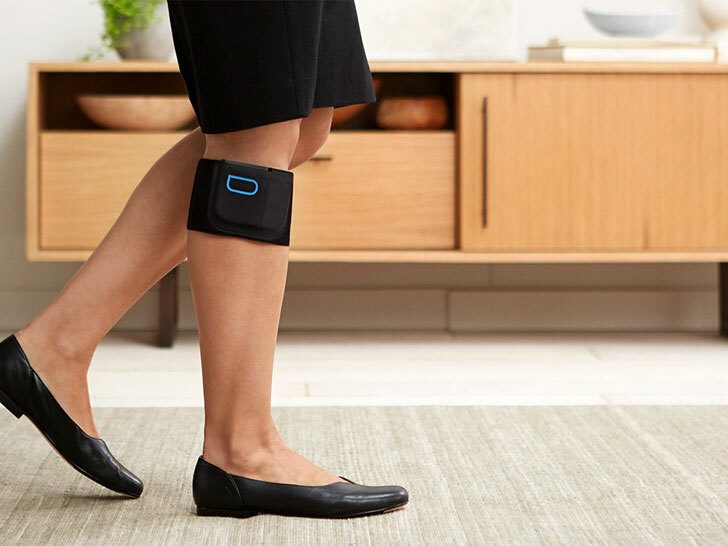 Quell consists of a small electronic device that is worn on the upper calf with the help of a flexible sports band and a set of electrodes. Pain sufferers simply wrap the device onto their calf and press a single button to start the pain relief process using a technology called WINS (wearable intensive nerve stimulation). The device stimulates the sensory nerves, which carry neural impulses to the brain and trigger a natural response that blocks pain signals in your body. Wearers can feel light pressure or a buzzing feeling and will begin to feel pain relief in about 15 minutes after wearing. Therapy sessions last 60 minutes and wearers can continue with more sessions throughout the day or night as needed with 1 hour breaks in between. This drug free pain relief can be monitored via a smart phone app, but it is not necessary to use. Quell is currently available for sale via an IndieGoGo campaign starting at $199 with a 1 month supply of electrodes. Do the electrodes burn the skin?